Software designed to export Google contacts to Outlook, iCloud, Android, Gmail, iPhone and vCard. Export Google contacts to iPhone, iCloud, Android, vCard file and Microsoft Outlook. 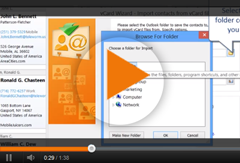 vCard Wizard Contacts Converter Pro Edition is the easiest way to export Google contacts to iCloud, Microsoft Outlook and vCard (vcf) file. 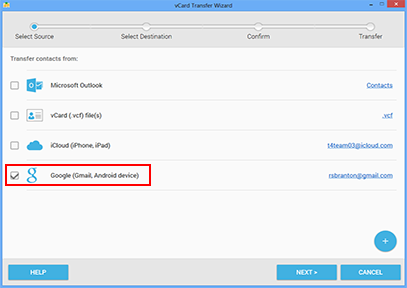 Enable iCloud on your iPhone and use vCard Wizard Contacts Converter to export Google contacts to iPhone. Choose the contacts you want to export from Google, confirm your selection and click Transfer. In just a few minutes, the contacts you have exported will appear in the source you have selected.